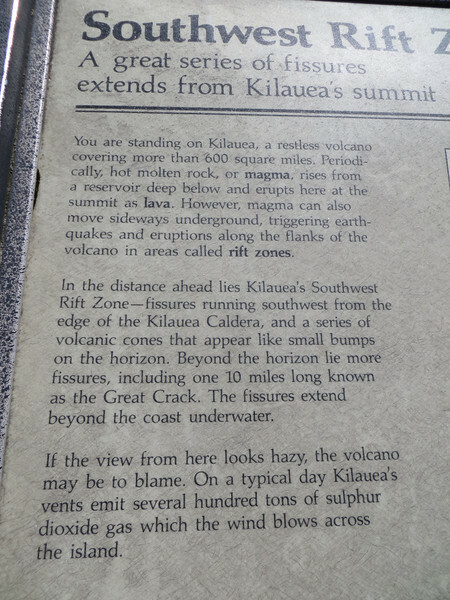 Eruptions at Kilauea are usually not big explosions, but slow escapes of gas and oozing lava along the belt of fractured rock called the rift zone. That isn't to say they can't be destructive; whole villages, beautiful beaches, historic landmarks, have been engulfed by lava. But paradoxically these lava flows are creating new bits of our planet, too. Where else in the world can you say you've been present for something like THAT?